Why I lived several states to work for the summer and loved it. From late April to early August, I moved out of Georgia to live on a tiny island in Michigan. From my house to where I lived in Michigan, it’s over 900 miles. To put it in better perspective, it’s about a 15 hour drive with gas stops. 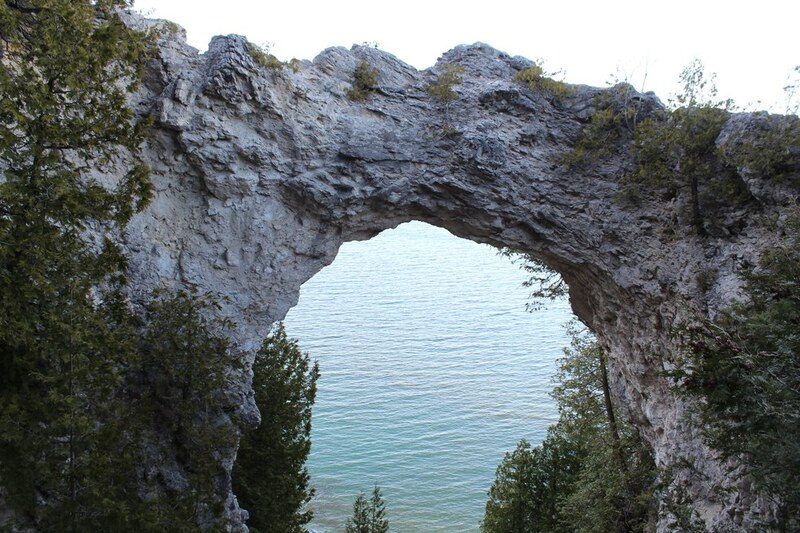 The reason I did this was because I found a summer job with my family on an island called Mackinac Island (pronounced mack-in-aw). It’s 8.2 miles around and has outlawed cars (yes, I am serious). The only way to get around is via horse, bike, or walking. The island I worked at is absolutely breathtaking (as you can see from a shot I took while there). Because I was surrounded by water, it was pretty much always a dream. I could hear the freighter horns echo through the island and a few buoy bells late at night being moved by the waves. Not only the scenery, but the weather. In Georgia, it’s always hot and humid in the summer. 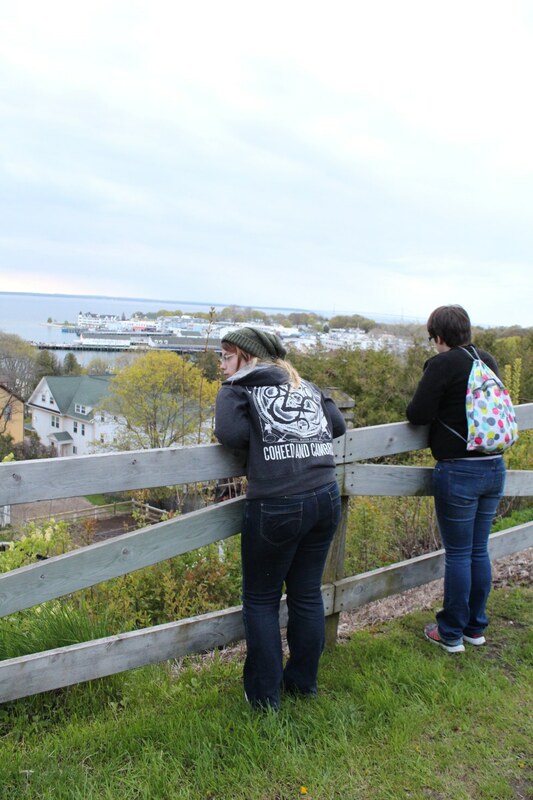 On Mackinac, it was cool and breezy the entire time, minus a week or two. I was wearing jackets up until late June. Whether working at the same place I did or another place states away, a change of scenery is a perk and is always great to see each day. Experiencing a different climate can also put things in perspective. For example, I was really upset that I was missing out on hot summer days back home but learned to love the daily cold weather. Many places in the United States have various climates just waiting to be enjoyed, and the best way to experience such different places is by summer jobs. 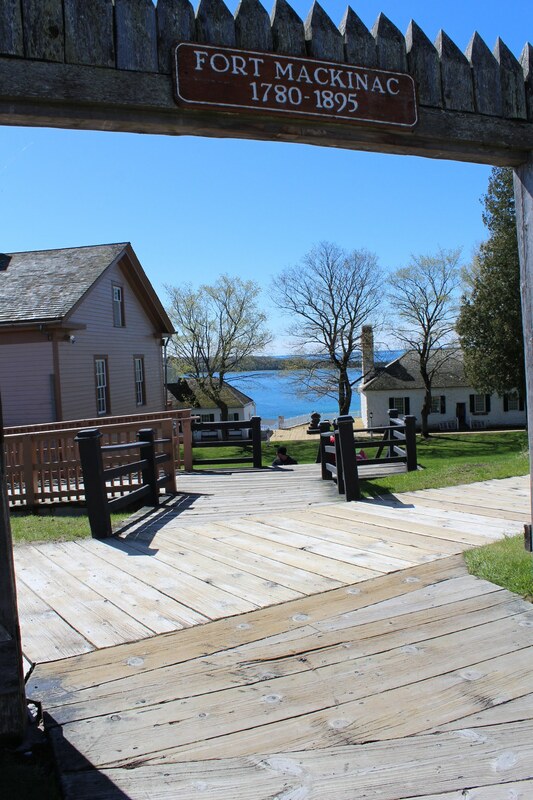 The island is full of incredible history that relives itself through re-enactments each and every day of the season (May to October). You can learn about William Beaumont, nicknamed the “father of gastric physiology”. 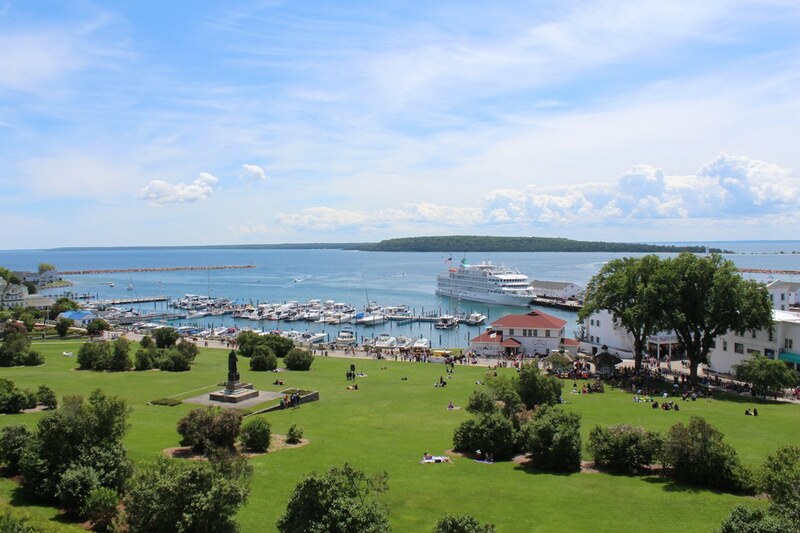 There are cannon and rifle firing demonstrations performed inside Fort Mackinac with re-enactors full of historical knowledge about the war fought there. There’s native American history and lore. 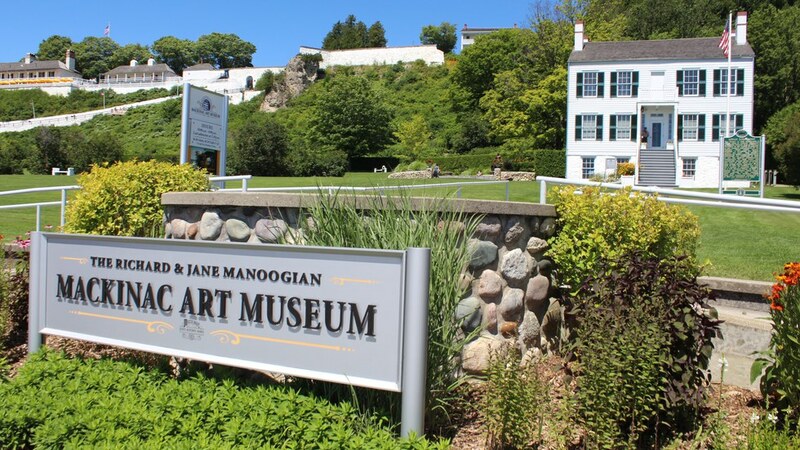 If you decide to take the 8.2 mile bike ride around the island, there are signs full of history along the way as well. Just about everywhere has a good amount of history in some way, shape or form. Of course, any place in the United States will have history. Working in a different state allows you to learn more about the history of that place that you wouldn't have had the incentive to learn otherwise. One could even do research on particular places that are hiring (with housing) and see which historical atmosphere is right for them. Where I worked, my co-workers were the best thing about my summer. I met a girl who is now my best friend and so many other amazing people that made each work day fly by. The work I did wasn’t difficult, but it required patience and focus. Supervisors and even co-workers who had been there multiple seasons were always ready to lend a helping hand. Each day at my job, I got to work at one of five different locations which always made things more interesting. Working states away means you're exposed to new shops you've never heard of, new attractions to explore, and tasty coffee shops to fall in love with. Plus, if you're working in retail, you always get some funny customer questions and requests no matter what state you work in. I know I mentioned my coworkers in number 4, but I want to broaden more about that. Where I worked, we got housing as well (rent came out of our paychecks). Our housing was this big, old house built in 1825. For several months, I lived inside of a historical building. That’s something not many people can say. Inside that house (during this past summer I worked), there lived around 50 people. Living in this house is nothing I ever thought was possible. Everyone just sits out on the porch and hangs out. Some play guitar, some will bring movies for everyone to watch in the common room, and you can easily meet some amazing people sitting on that porch. It’s a very communal house, which originally was a bit off putting but turned out to be a wonderful learning experience and allowed friendships to be created. Every person there was amazing in their own way, even the very few that I wasn't 100% fond of. The island houses some wonderfully helpful, hilarious and kind people. Every place contains wonderful people, but it may be harder to find them in some cities or towns. Working in a different state exposes you to so many different types of people, who can share their culture and humor and stories with you. You may even find your next best friend or signifiant other while working in a new state. It's an experience that's very worth while. I don’t think I know anyone who can say that they lived states away for several months to work. I also don't know anyone who has even thought of it or would be willing to. Of course, the job experience is wonderful, but there’s so much else working away from home has to offer. You get to learn a whole new way of life, meet people who might talk a little different (the great “is it called soda or pop” debate I had almost every day), live in a different climate, learn about a new state you would have known little to nothing about otherwise. It gives a completely new sense of independence and is always exciting. I would highly recommend working in a different state, or even a new town, to anyone. Even though everyone will have their own unique expreience that may be different than mine, there's definitely a lot to learn from working in a new state. There are so many positive outcomes from it, and I'm very thankful for the adventure I was blessed to experience. Being a server is a hard job. We need to laugh about it. For all my fellow servers and bartenders out there, happy holidays to all of you! We can make it through the rude customers, forgotten orders, and low tips together, but first, we need to take a break and remember what brings us all together... the TOO realistic tweets. Sure, let me just shut up now. It's 2019. We're eco-friendly this year. We need a thread for this... because there's so many.